Amos Klausner (1939-2018) was born in Jerusalem, the only child of Lithuanian- and Polish-Jewish parents. Although his family was entirely secular, Amos was sent to a religious school because the only other option was a socialist school that his parents vehemently opposed. At 14, he decided to go off on his own, changed his last name to “Oz”, and joined a kibbutz. He wasn’t fit for kibbutz work, and was made fun of constantly. Oz found solace in writing, and was eventually given permission by the kibbutz to have one day off a week to do so. After three years of military service, the kibbutz sent him to study literature and philosophy at the Hebrew University. He graduated in 1963, returning to the kibbutz to work as a teacher, and continuing to write once a week. Two years later, he published his first book, a collection of short stories. It was his third publication, the novel My Michael, that became a bestseller and thrust him into fame. (Even after this, his kibbutz only allowed three days a week to write!) Oz would follow that up with 13 more popular novels, four more collections of prized short stories, and another twelve of essays on various topics, along with two children’s books. The most famous of these is his 2002 memoir, A Tale of Love and Darkness, which was adapted into a film by Natalie Portman. 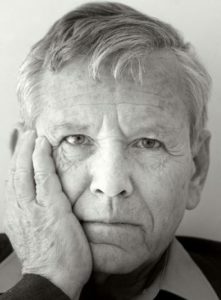 All in all, he produced some 40 books and 450 essays, with his work translated into nearly 50 languages – more than any other Israeli writer. Oz served in both the Six-Day War and the Yom Kippur War. In 1987, he came a professor of Hebrew literature at Ben-Gurion University, a post he held until 2014. While often seen as the face of the Israeli left, Oz defended Israel in its military campaigns, explaining their necessity and never failing to point out the evils of the terrorist enemy. He was one of the first to speak of a two-state solution (penning an essay immediately after the Six-Day War) and was opposed to Israeli settlements, but supported the West Bank barrier wall. He admitted that Israelis have always been willing to work for peace while Arabs not so much, and said that it takes “two hands to clap”. He remained a staunch Zionist his entire life and vocally opposed non-Zionists. In these ways, he mitigated the Israeli left, trying to keep them from falling into extremes, and from getting into the habit of blaming Israel for everything. Oz worked tirelessly for peace, and some of his actions in doing so were severely criticized (like the recent letter he sent to imprisoned Palestinian activist/terrorist Marwan Barghouti). Among his long list of awards is the Israel Prize, the French Legion of Honour, the Spanish Order of Civil Merit, and the South Korean Park Kyong-ni Prize for Literature. Sadly, Oz passed away last week. The man who has been called Israel’s greatest writer was laid to rest in the kibbutz that was his home for over three decades. The story of modern Israel, as many have noted, is a miracle unlike any… It is a robust and inclusive democracy, and is at the leading edge of science and technology… What hypocrites demand of Israelis and the scrutiny Israel is subjected to by them, they would not dare make of any other nation. This entry was posted in Writers & Thinkers and tagged Hebrew University, Israel Prize, Israelis, Jerusalem, Kibbutz, Legion of Honour, Order of Civil Merit, Park Kyong-ni Prize, Peace Now, Six-Day War, Two-State Solution, Yom Kippur War, Zionist on January 2, 2019 by Jew of the Week. Rachel “Ruchie” Freier (b. 1965) was born in Brooklyn to a Hasidic Jewish family. In high school, she took a course in stenography and went on to work as a legal secretary. She soon became a paralegal, and was her family’s breadwinner, supporting her husband’s full-time religious studies. At 30, she realized she was working under lawyers that were younger and less knowledgeable than she was, and made the decision to go to law school herself. Juggling school, work, and raising six kids, it took Freier ten years to earn a bachelor’s degree in political science and a law degree. She passed the bar in 2006, becoming America’s first Hasidic female lawyer. Meanwhile, Freier was heavily involved in community work, and spent time as an advocate for New York’s oft-misunderstood Hasidic Jews. In 2005, she set up a charity called Chasdei Devorah to support poor Jewish families, and in 2008 co-founded B’Derech to help troubled teens. In 2016, she was elected Civil Court Judge after a tough race. That made her the world’s first female Hasidic judge. Freier also serves on New York’s Criminal Court. Amazingly, she is a licensed paramedic, too, and works with Ezras Nashim, an all-female volunteer ambulance service (a branch of the more famous, all-male Hatzalah). 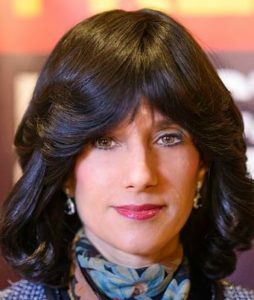 The New York Times has appropriately called her a “Hasidic superwoman”. Freier has won multiple awards, and was recently ranked by the Jerusalem Post among the 50 Most Influential Jews in the World. Ruchie Freier is not to be confused with Recha Freier (1892-1984), also born to a devoutly Orthodox family, in Germany. Recha Freier experienced tremendous anti-Semitism in her youth, and this inspired her to become a Zionist. Her husband was a rabbi in Berlin, while she taught in a high school and spent the rest of her time writing. In 1932, Freier was asked to help five young men who could not get jobs because they were Jewish. Freier had the idea to send the boys to the Holy Land instead to learn farming. She raised the necessary funds and organized their voyage and settlement. Thus was born what would become the Youth Aliyah. The organization would go on to save 7000 young Jews from Nazi Germany and settle them in Israel. Freier coordinated with (former Jew of the Week) Henrietta Szold to make sure the teens were taken care of in their new home. Freier herself escaped Germany in 1940 by crossing the border to Yugoslavia. There, she saved 150 Jewish orphans. All made it safely to Israel in 1941. Two years later, Freier established the Agricultural Training Center to educate impoverished children. She was also an avid musician and pianist, and in 1958 founded the Israel Composer’s Fund. 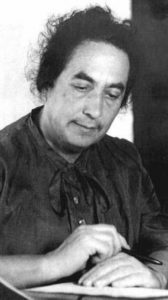 In addition to composing a number of original musical pieces, Freier wrote works of poetry and Jewish folklore. In 1981, she was awarded the Israel Prize for her contributions, the State’s highest honour. This entry was posted in Extraordinary Individuals, Law, Politics & Military, Writers & Thinkers and tagged Aliyah, American Jews, Brooklyn, Composer, Court, Ezras Nashim, German Jews, Haredi Jews, Hasidic Jews, Hatzalah, Israel, Israel Prize, Judge, Lawyer, New York, Orthodox Jews, Youth Aliyah, Zionist on August 16, 2018 by Jew of the Week.